The relationship between foundations and grantees is a topic that the social sector has been discussing for years. Collectively — through scholarly research, industry-wide surveys, and opinion pieces — we have acknowledged power dynamics, mismatched expectations, lack of empathy, trust issues, and more. And yet, despite all the conversations about these points of tension, new reports from CEP and Open Road Alliance both suggest that the complications in the funder-grantee relationship can be characterized quite simply. What we have here is a failure to communicate. According to the report, despite 87 percent of foundation leaders’ belief that their foundation is aware of grantees’ needs, 58 percent of nonprofit CEOs say none or few of their foundation funders ask about their organization’s overall needs beyond funding. Clearly there is a disconnect here. Something is breaking down during the application process when nonprofits are asking for support that isn’t actually addressing their needs. CEP’s report confirms this in the finding that the largest factor nonprofit CEOs consider when writing a grant application is “what [they] think foundations prefer to fund,” rather than what the nonprofit really needs. 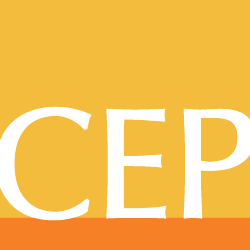 Setting aside for a moment the conditions that cause nonprofits to feel as though they need to twist or misrepresent their needs, the CEP report is clear: in most foundation-grantee relationships, there is a failure to communicate, which hurts both the nonprofit and the funder. Given this reality, it’s perhaps unsurprising that Open Road’s recent research shows that this initial failure to communicate extends throughout the life of the foundation-grantee relationship, as well. Mirroring CEP’s findings, our research shows that when something goes wrong, most nonprofits aren’t asking for what they need — namely, additional funding to overcome the roadblock. According to our data, 39 percent of nonprofits expect a project to hit an impact-threatening obstacle, yet only 13 percent of nonprofits report approaching their funders with a request for additional funding to address such a scenario. This is particularly concerning because, were nonprofits to ask for additional funds, foundations report that 94 percent of the time they do grant the request. Both CEP’s and Open Road’s findings suggest that nonprofits need to speak up and be more direct in their communications with foundations. After all, funders can’t solve problems they don’t know exist. However, as my mother loves to remind me, the telephone works both ways. Given the power dynamics at play in the funder-grantee relationship, it is simply unrealistic to expect that telling nonprofits to speak up will close the communication gap. Indeed, Open Road’s research also clearly suggests that foundations bear their own failure to communicate as well. In examining foundations’ communication practices, we learned that over 60 percent of funders don’t ask grantees what could go wrong or discuss the possibility of disruptive events at any point during the grantmaking process — during the application process, during project implementation, or after the grant period ends. While it’s true that foundations can’t solve problems they don’t know exist, it is also true that if foundations don’t ask, grantees won’t tell. After all, it’s logical that grantees are not comfortable sharing challenges; they fear that communicating honestly will have negative consequences for their organizations and the work they do. Eighteen percent of nonprofit CEOs in CEP’s study cite a “fear that their organization would be thought of as weak” if they really asked for what they needed. Thirty-four percent of Open Road’s nonprofit respondents said they believe that asking for contingency funding would negatively affect future grant awards. These numbers shouldn’t come as a surprise. In Open Road’s survey, 59 percent of foundations report that their own grantees would be uncomfortable asking them for additional funding when faced with unexpected events. As we all know, one easy strategy to help make anyone feel a bit more comfortable communicating is to simply start the conversation yourself. Yet, as stated above, over 60 percent of foundations don’t ever ask about unexpected events, thus failing to create the conditions for nonprofits to more comfortably discuss problems (and possible solutions). Coupling these two studies, it’s easy to see how the findings play off one another. Insufficient communication at the start sets a precedent for poor communication throughout the grant period — particularly if an obstacle arises. Poor communication, which both contributes to and stems from poor relationships, often results in nonprofits not getting what they need. And not getting the resources needed up front increases the vulnerability of the nonprofit and the likelihood of encountering a roadblock. This unvirtuous cycle is not just about our feelings — it threatens impact. In moments of risk realized, the failure to communicate also translates into lost funding and more importantly, lost impact. In fact, we saw that nonprofits report that over half of projects that do not receive contingency funding are significantly reduced in scope, and a quarter of such projects are terminated without meeting their original objectives. When this happens, foundations also lose out on key learnings and possible solutions for avoiding similar risks in future grants. As the CEP report concludes, “Both nonprofits and foundations have a role to play in addressing the gap between the support foundations provide and what nonprofits most need.” I agree, but I would take this one step further. If good communication is a bridge where funders and grantees have to meet halfway, it’s actually up to the foundations to take the first step. Maya Winkelstein is executive director of Open Road Alliance, a philanthropic initiative that provides grants to nonprofits for mid-implementation projects facing an unexpected roadblock or a sudden catalytic opportunity. Follow them on Twitter at @OpenRoadTweets.